The education sector is confronting an increasing challenge that is to say the emergence of technologies. In fact, various types of equipments (laptop, smart phones, touchpads, etc.) are used by students and teachers. Any delay taken by the education on the rhythm of the technological innovation risks to break even more the contact between the world of the education and the society. More than ever, it is a question of modifying the means of the education to meet the expectations of learners and to confront new challenges of the professional world and the digital society. Therefore, collaborative work has to take place and collaborative tools such as virtual classrooms, discussion forums, sharing online document tools (goolgedrive.com) are becoming a necessity. Institutions will have to invest in the educational space, not only within a class or between the students of the same year, but also between the classes and between the institutions (close or distant) . Students and teachers need a more flexible and adaptive infrastructure. With these characteristics, the Cloud platforms arise as a solution that has a significant impact on teaching and learning. Moreover, cloud computing is a model of deployment of resources and computing capacities which tends to minimize the load of implementation and management for the user organization. Cloud computing offers infrastructures, software, processes and a variety of services which can be consumed by the user according to his/her demand via Internet, intranet/extranet by paying only his real consumption. These services offered by the cloud computing are essentially Web applications which supply services when they are ordered. They can be in particular applications of Web 2.0. In fact, web2.0 allows people to create, to exchange, to publish and share information in a new route of communication and collaboration. Thus, to build an environment of successful and effective education, it is necessary to use new technologies such as web2.0 and cloud computing which supplies the collaboration and the interaction in e-learning environment. This new environment supports the creation of new processes of collaborative e-learning which use web2.0 and which can work on a vast range of devices while the data is stored in the cloud. This allows bursting the geographical and organizational structures. To benefit from the advantages of the cloud technology in the educational domain, we need the management of e-learning processes. Indeed, the approach of BPM (Business Process Management) allows a better management of e-learning processes in the sense that it offers a continuous improvement of business processes, increases the productivity and reduces costs. Founded on these ideas, we propose an approach of management of collaborative e-learning processes by using BPM and cloud computing. Our contribution, which is focused on the process of learning, will consist in the construction of a collaborative and reconfigurable learning process, which will be easily adaptable to change and will easily evolve to meet the needs of learners. More precisely, in this paper, we concentrate on the advantages of using the cloud computing and the Web services 2.0 in this context, particularly in terms of collaborative activities. In order to overview all these aspects, this contribution is arranged as follows. In Sect. 2 we introduce the main concepts on Cloud Computing, including its infrastructure and main layers and we present the features of the e-Learning approach, stressing the advantages of the migration of such a system to the Cloud. Next, in Sect. 3 we show some examples of real applications of this kind. Section 4 presents our approach. Finally, the main concluding remarks are given in Sect. 5. In the literature, there are several definitions of the cloud computing that are more or less vague. However, the definition given by the NIST - National Institute of Standards and Technology is an authoritative one. According to National Institute and Standard of Technology NIST [23, 24], CC is a model that allows easy on-demand network access to shared containers of configurable computing resources (e.g., networks, servers, storage, applications, and services) that can be set up and released quickly with little or no management effort or service provider interaction. CC has emerged to provide computing services based on demand, measurable, ‘pay-per-use’ and virtual centralized via the internet to improve the company’s ability to cope with a flexible and highly competitive business environment. The cloud technology has evolved through combining the advantages of SOA, virtualization, grid computing, and management automation with the following features (8): (1) virtualization, reuses hardware equipment to provide an expandable system environment with extra flexibility such as the use VMware and Xen that act as a demand-based virtualization IT equipment. Users can configure their personal network and system environment through virtualization network known as VPN; (2) service flow and workflow, provides a complete set of service environment as per demand; (3) web service and SOA, through standard of WSDL, SOAP, and UDDI, and other cloud services can be delivered in the web service; (4) web 2.0, can strengthen information share and interactive cooperation of users; (5) large-scale distributed systems, requires large-scale distributed memory system and computing ability to realize the rental of computing resources and memory spaces by users; (6) programming model, allows user to write application program under cloud environment . NIST visual model of cloud computing definition . Infrastructure as a Service (IaaS): remote management and control of hardware resources provided by a system. Platform as a Service (PaaS): offers the cloud platform along with a series of libraries to develop applications in which the distribution of tasks, the persistence and other layers are transparent for the developer. Software as a Service (SaaS): consists in offering different applications to be used through the internet as opposed to a local installation. Hardware as a Service (HaaS): contrarily to the SaaS and PaaS that provide applications and services to the customers, HaaS offers only the hardware. Database as a Service (DaaS): the aim of a DaaS is to offer a database and the services allowing its management to avoid the complexity and running cost of a database if hosted in the own network of a company or organization. Business process as a service (BPaas): Above the SaaS layer, was added the BPaaS model which provides the client with a business process environment. In this type of service, cloud providers are not only limited to providing software solutions on behalf of companies, but also participate in the management of the company, to ensure that the objectives are achieved. Public cloud: The cloud infrastructure is made available to the general public or alarge industry group and is owned by an organization selling cloud services. Private cloud: The cloud infrastructure is accessible for an organization only. It may be managed by the organization itself or a third party and can be internal or external. Community cloud: A private cloud that is shared by several customers with similar security concerns and the same data and applications sensitivity. Hybrid cloud: It merges more than one Cloud Computing model into a single, hybrid model; using a public cloud for hosting sites that must be published publically and containing uncritical data, and using a private cloud for all the other sensitive data or services. This scenario is good for economic and business requirements. Decrease of the cost: it provides a solution to the problem of licensed software that requires constant updating. The second is that the learning process requires searching and experimentation . A flexibility, provided by cloud technologies, enables to modify, test and compare different types of software, various forms of use that would be impossible if it was necessary to purchase every time new software and equipment is required . Elasticity: Institutions using learning process may have trouble with elasticity since their learning process software may only allow coordinating simultaneously a limited number of process instances. Consequently, institutions can be in situations where the demands of learners/teachers increase in a considerable way. In this case, they need to buy additional servers to make sure that the demands of their customers will be satisfied. This causes a problem, because these new servers are rarely used although their purchase and their maintenance can be expensive. With Cloud Computing, institutions can increase or decrease the capacity of their systems depending on their needs. This is called resource allocation at Iaas level. Variability and configuration: The requirements for institutions and their learners are in a perpetual change. At the same time they vary from an institution to another. This leads us to return to the cycle of business process and to make such reconfigurations on the concerned process to make it adapted to the needs of establishments and their learners. Cloud computing is a good infrastructure for setting up configurable online learning processes as BPaas and each institution is looking for the configuration it wants. Dealing with the variability of e-learning processes, we have this point in previous work such as . Re-use: The integration of a learning process in the cloud gives the possibility of reusing it by other institutions/learners in a new context. Thus, we talk about a reusable e-learning process. Collaboration: If we talk about a reusable process of learning, then this is a first kind of collaboration because we provide other institutions/learners everywhere with accessible processes and activities. Nevertheless, if we use the web2.0 services and collaborative tools in the process of e-learning, we move then to a second kind of collaboration between various actors involved in the process of e-learning. During the last years, we have been able to witness a very considerable use of the applications which use the technique of cloud computing. These applications are numerous such as (Gmail, Hotmail, Google apps, Lotus Live, Web Service Apps). The success of the solution software as a service (Saas) is real and is easily applicable for e-learning. Cloud computing, Saas and e-learning are completely complementary. In this context, several studies have focused on the design and integration of e-learning systems in the cloud. Among these works we can mention those of Ouf et al. that has proposed an e-learning system based on the integration of cloud computing and Web 2.0 technologies to meet the requirements for e-learning environment such as flexibility and compliance towards students’ needs and concerns, improve and enhance the efficiency of learning environment. The authors mentioned the most important cloud-based services such as Google App Engine and classified the advantages of implementing cloud-based e-Learning 2.0 applications such as scalability, feasibility and availability. They also emphasized the improvements in cost and risk management. Bring together all the institutions to offer them the same e-Learning service and to improve the collaboration aspect. Improve learners’ knowledge with resource updates. Improve the quality of learning. Enable distant learners to deliver classes and lectures. Provide adaptive learning services according to the preferences and level of the learner. Respond to the needs of learners according to the resources available in the cloud to facilitate the learning process. Make the selection of services necessary for the learning process to take place. The absence of a complete initiative or an approach for the construction of a general learning process that meets all the needs of different institutions and learners. The absence of an automated mechanism of communication, which informs concerned people at adequate moments when an intervention is required during the execution of the learning process. In previous work such as , we showed the strong similarity between the learning process and business process. In this context, our objective is to make a combination of BPM with cloud computing for the construction of a process of e-learning as a reconfigurable and collaborative service (BPaas). Modeling e-learning process variability: modeling of the variability meets adaptability and customization. E-learning and cloud computing become basic needs for institutions and each institution has its own needs. But our objective is to provide a learning process line that meets the needs of all institutions/learners. The SPL approach (Software product Line) enables application development in e-learning to meet the needs of all customers, improve software quality and reduce the cost and development time. Modeling variability is described by a hierarchy of the overall characteristics of the system as model features (functions). 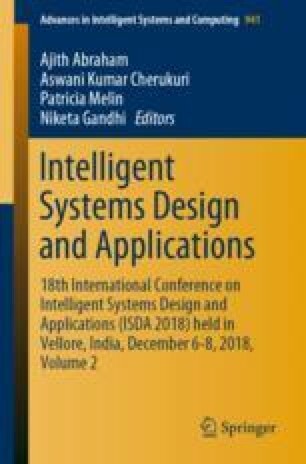 Another variability modeling represents the processing characteristics of the system; that is to say, the details of technical implementation of the system (database, content formats, operating system, etc.). 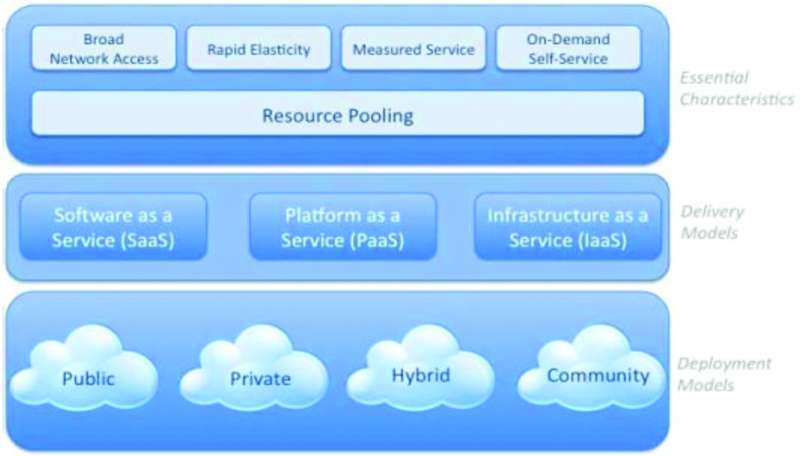 The migration of this process to the cloud as a Business Process as a service (Bpaas): after the modelling and the deployment of our learning process, our next stage will be the migration of this process to the cloud as a reusable BPaas, useful for several learners, teachers and institutions and discovery of this BPaas in cloud. The discovery of this BPaas in cloud and the selection of services allowing the implementation of this process to make it executable: a process of collaborative and interactive learning allows learners and teachers to interact (face-to-face communication, virtual class, etc.). In this way, every learner will participate to the learning process and will not be isolated, but will be located in a wider context, which includes other learners. To validate the first step in our approach and as we indicated in the work , we propose new models of learning process based on learning activities and the interactions between learners and teachers. To select the learning scenarios, we were based on Lebrun  and Monnard  models. In addition, we made reference to the IMS-Learning Design standard . The activities of learning are of several types: Scripting, Informing, Interacting, Producing and Summative evaluation (Fig. 2). We focus through our work on the aspect of collaboration and communication between the various actors of an activity. For that purpose, and for every process, we propose sub-processes and activities of learning which run in a collaborative context with the use of tools of collaborative work such as docs.google.com, Google drive, discussion forum and webinars. As an illustration of our idea, we choose the process “Interact” that itself is detailed into two sub-processes, which are “Group work” and “thematic Debate” (Fig. 3). Subsequently, we detail every sub-process through the corresponding tasks dealing with communication between learners and teachers, with the use of collaborative tools (Fig. 4). Group work is a collaborative/cooperative activity which is often used in e-learning. On the one hand, in education, it’s required to be capable of working in a group. On the other hand, in socio-constructivism, it’s considered that the group work and the confrontation/collaboration with the others are beneficial to the learner himself. The “Group work” activity presented in Fig. 3 appears as a process which is rich in interactions between actors. Furthermore, collaborative tools are given to maintain an important degree of interaction between learners and teachers and between learners. This interactivity between teacher and learner allows adopting a set of actions which offers to learners the possibility of accomplishing their goals. To allow learners to interact in a course, we need to organize a thematic debate on a question/problem. The objective to be achieved is that learners better understand various points of view by identifying the corresponding arguments. Thus, they can improve their capacity of argumentation. Until now we talk about modeling. For showing the feasibility of our e-learning process model, we move to the implementation and enactment of this process with the BPMS engine executions. As it is mentioned in Fig. 1, the process starts with a type of activity “scripting”. This activity is mandatory where the teacher defines the proposed course. 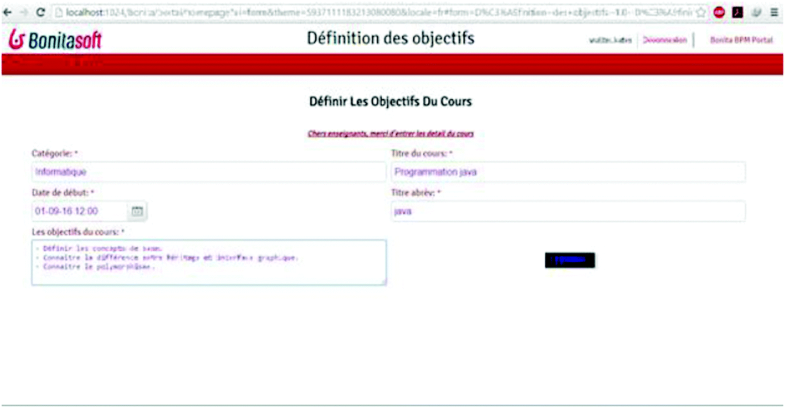 Figure 5 shows the interface in which the teacher introduces the details related to the course to offer. Thereafter, the learner sees the details of the course proposed by the tutor and gives his opinion. Subsequently, the teacher may decide to choose the next activity (Fig. 6). The tutor chooses one type of activity “interact” that is the “group work” so he first sets objectives to the activity (Fig. 7). Model the variability of our process to make it adaptable to different needs of learners and institutions. Improve our e-Learning product line and we are going to investigate the possibilities offered by cloud computing technologies for a better management of our process. This will lead as to consider it as a configurable Business Process as a Service (BPaaS). Reflect on an approach to discovering a cloud-based e-learning process and discovering services such as Saas, Paas, and Iaas necessary for performing e-learning activity.